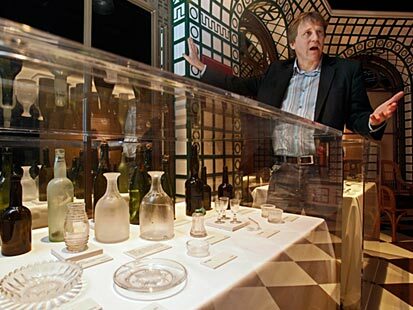 The largest collection of artifacts from the Titanic – the famous “unsinkable” ship that did just that in 1912 and went on to inspire the movie that was, until recently, the number one grossing movie of all time – will be up for auction in 2012, the 100th anniversary of the original shipwreck. According to the Associated Press, there are more than 5,500 items in the collection owned by RMS Titanic Inc. The collection includes fine china, ship fittings, and portions of its hull – with an estimated value of $189 million. The auction will be held on April 1 at Guernsey’s, a New York City auction house. But the results won’t be announced until April 15 – exactly 100 years to the day after the Titanic sank on its maiden voyage from England to New York City. More than 1,500 of the 2,228 people on board died when the Titanic struck an iceberg, causing the ship’s descent to the bottom of the ocean.